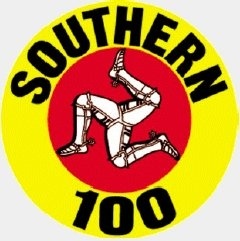 The Isle of Man Steam Packet Southern 100 International Road Races celebrate is 60th Anniversary this year, having first been run on Thursday 15th July 1955. From what some critics at the time said was an ambitious programme of three races - followed in the evening by a gymkhana at Castletown Stadium, this years 14 race event is held with full International Status over four days, Monday, Tuesday, Wednesday and Thursday 6th, 7th, 8th & 9th July 2015. A number of Past Solo Champions will be present to help the organisers celebrate ‘the friendly races’ celebrate its Diamond Jubilee. Klaus Klaffenböck; Geoff Young, Tony Baker, Greg Lambert, Chris Vincent, Allan Steele, Ron Hardy, Ben Birchall, Tim Reeves, Dave Molyneux and current champion Conrad Harrison. Southern 100 Racing welcome our past champions and hope they enjoy the 60th Anniversary celebrations during their week at ‘the friendly races’ and that they rekindle friendships as they relive their past glories.